Image courtesy the European Space Agency � ESA. The collision between giants wasn�t the dramatic, head-on drama that scientists initially expected. 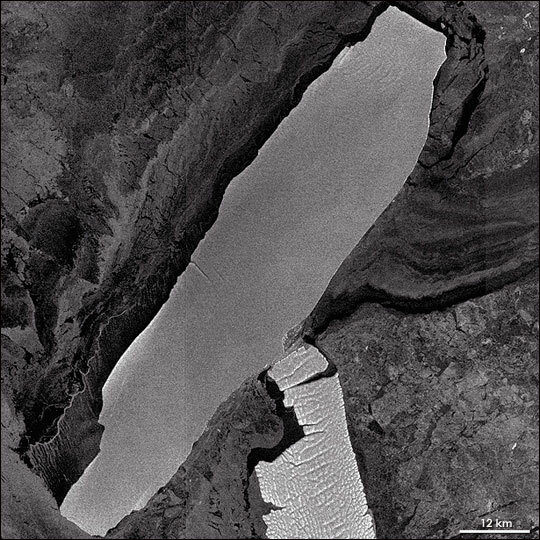 Instead, in mid-April 2005, the B-15A iceberg sideswiped the Drygalski Ice Tongue. 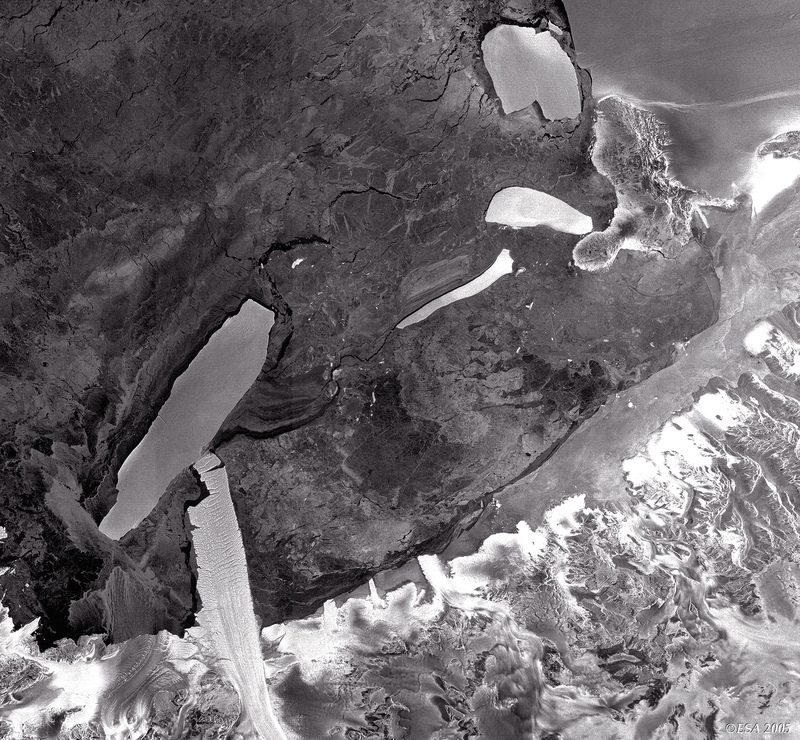 Though not as powerful as a direct hit might have been, the blow carried enough force to knock free the tip of the ice tongue, the floating extension of the Davis Glacier. The iceberg, comparable in size to New York�s Long Island, continues to drift into the Ross Sea, now accompanied by the end of the ice tongue, which measures roughly 5 kilometers by just under 12 kilometers. The Advanced Synthetic Aperture Radar (ASAR) flying aboard the European Space Agency�s Envisat satellite captured this image of the collision on April 15, 2005. Because the sun has disappeared from Antarctica for the winter, visible light can no longer be used to collect imagery. The ASAR bounces radio waves off the Earth�s surface and records the returning signals to generate imagery, eliminating the need for visible light. Additional ASAR imagery are available from the European Space Agency.